Cynthea Masson is a professor in the English department at Vancouver Island University. After completing a Ph.D. in English with a focus on medieval mysticism, she undertook a postdoctoral fellowship involving work with medieval alchemical manuscripts at the British Library. In addition to articles on mysticism and alchemy, many of her publications over the past decade have been in the area of television studies. She is a co-editor of the academic book Reading Joss Whedon (Syracuse University Press, 2014); her fiction includes The Elijah Tree (Rebel Satori, 2009). She lives in British Columbia. Click here for more stories by Cynthea Masson. 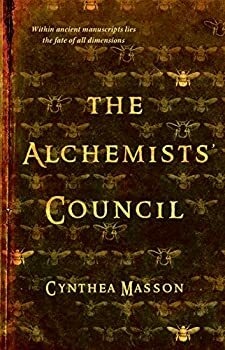 As the first installment in a planned trilogy by Cynthea Masson, The Alchemists’ Council faces difficult challenges in setting up a world which is both familiar and foreign, introducing characters and their motivations, and resolving enough plot to satisfy readers while teasing them with more to come. Masson’s prose is dense with details and striking imagery, and her characters are compelling, though the plot occasionally falters under the weight of the world-building.